We’re big fans of Jakončič winery, which is situated in the hills of Goriška Brda, Slovenia. Which is an extension of the Collio region of Italy. We first visited the Jakončič estate in the summer of 2017 and were immediately impressed. In an area where natural and macerated wines are the norm, Jakončič focuses on making clean, classically styled wines. Their iconic wine is the Jakončič Carolina Select Merlot. It’s a rich, dense, and highly structured Merlot that can go toe to toe with any Bordeaux blend. The Jakončič Carolina Select Merlot 2006 made the list of our top wines in 2017. The winery was kind enough to give us a preview of what’s to come with the 2011 Carolina Select. The wine doesn’t disappoint (see below). Goriška Brda has become synonymous with orange wine (amber wine) production, it was only a matter of time before Jakončič took a shot at this style. Enter the Jakončič Uvaia. 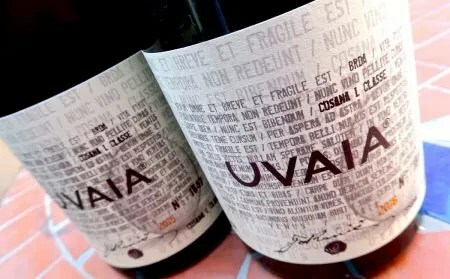 Because of their stellar track record, the bar is set high for the Uvaia, so how does it taste? The Jakončič Uvaia is the estate’s first attempt at creating a macerated white wine. 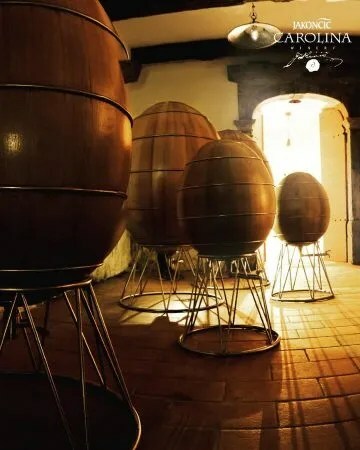 Instead of focusing on Rebula like many producers in Goriška Brda (Slovenia) and Collio (Italy), Jakončič chose to use Pinot Gris, which is macerated and matured in egg-shaped oak barrels (photo below from Jakončič Facebook Page). The Jakončič Uvaia 2015 is the first vintage of the wine. It was such a hit on the regional market that the winery sold out in two months after the April 2018 release. The demand was so high for the 2015 that the 2016 vintage is now released just six months later. This wine is the darker of the two, it’s a true copper color in the glass. On the first sniff, it feels like a red wine with its red berries and fall leaves notes but further investigation reveals tangerine and burnt caramel notes. On the palate, it’s a big wine with chewy, bitter tannins. The alcohol climbs the latter a bit in this wine but the finish is long. Jakončič Uvaia 2015 on the left and 2016 on the right. The Jakončič Uvaia 2016 is a completely different wine. It’s a beautiful tangerine color in the glass, much lighter than the 2015 Uvaia. It has a pretty nose for a macerated white wine with notes of pineapple, tea leaves, tangerine, fall leaves, and apple blossom. 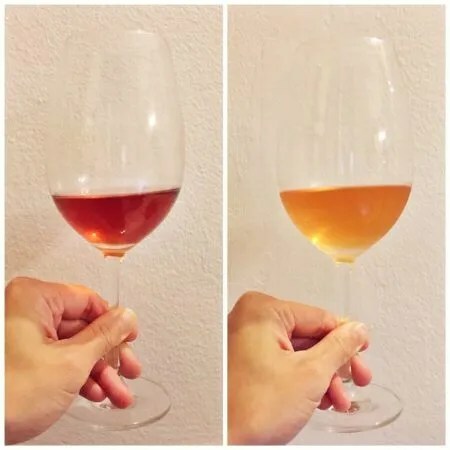 It’s a refreshing style of orange wine with a low level of tannins. Usually alcohol can creep up in macerated Pinot Gris, but not in this wine – it is beautifully balanced. The wine has a silky smooth mouthfeel and Pinot Noir-like structure, it’s a true masterpiece. Jakoncčič provided us with samples of their Carolina Select 2011 and Uvaia 2016, we purchased the Uvaia 2015 for comparison. Please note that the opinions expressed are our own and have not been paid for in any way. We do not sell editorial content as that would destroy the legitimacy of our reviews and the trust between Exotic Wine Travel and its readers. On occasion, we extend the option of purchasing the wines we review or/and the products we spotlight. 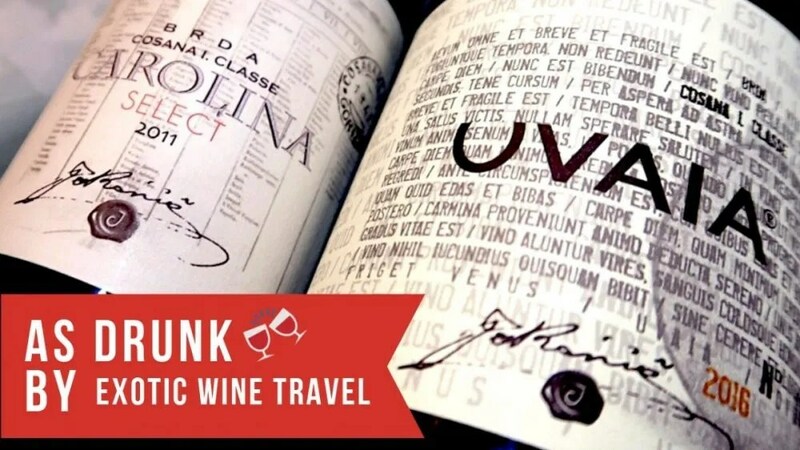 Some of these product links are set up through affiliate programs, which means Exotic Wine Travel gets referral credits if you choose to purchase these items via the links we provide.